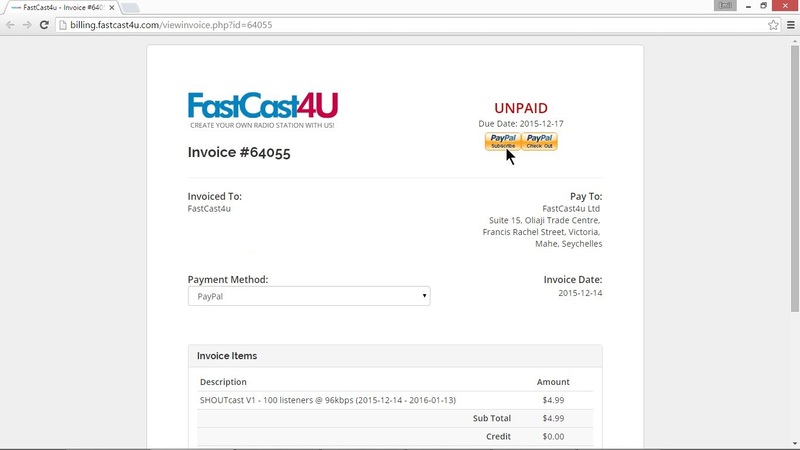 FastCast4u | Do you charge my card, PayPal or bank account automatically? Help | Do you charge my card, PayPal or bank account automatically? For security reasons, we do not collect any card details from our customers and we do not keep them in our system, therefore we can not charge your card/account automatically. 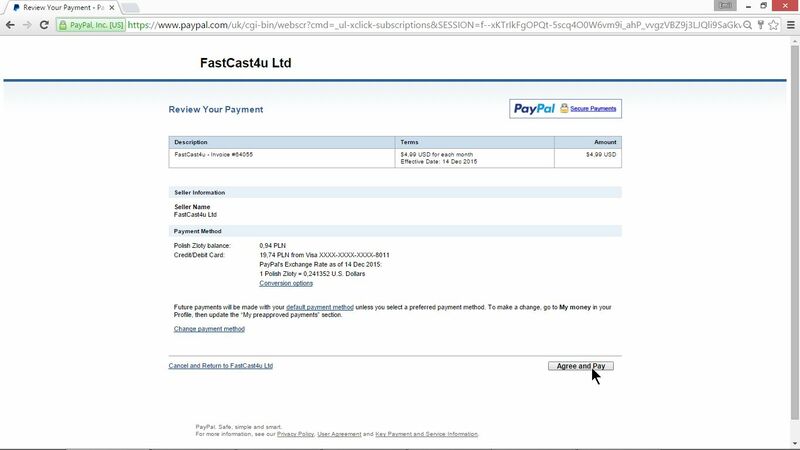 If you would like to set up automatic/recurring payments, it can be done using PayPal only. You can start and cancel the subscription anytime. Perform the steps described below to set up a subscription and do not worry about paying your bills manually every month or year. If you have a PayPal account just log in and follow the instructions given by PayPal. 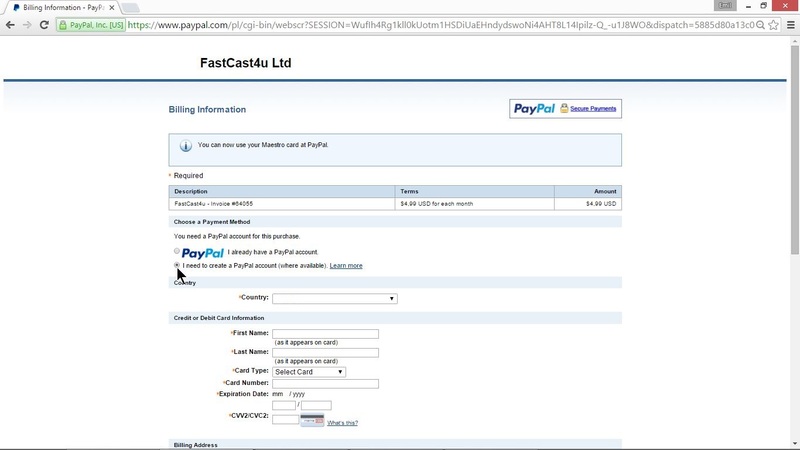 If you do not have a PayPal account you can easily create it within a moment and set up a subscription. 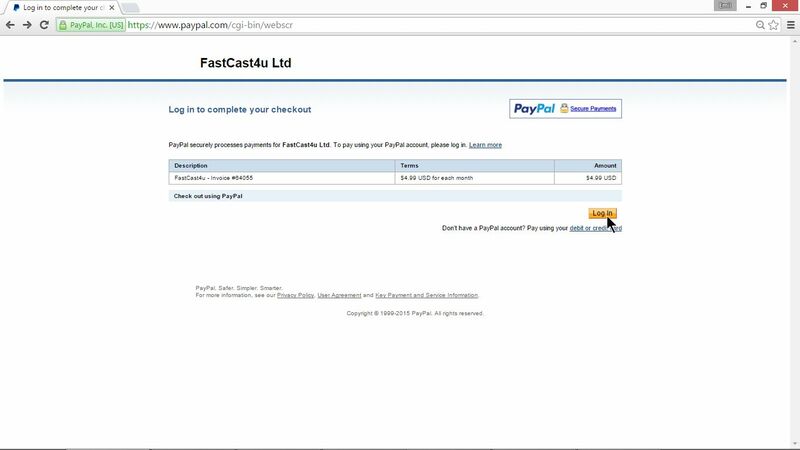 Just fill in your details and card details to create a PayPal account. Confirm the subscription. Please notice that if you use other currency than USD and Euro it will be automatically converted to USD. 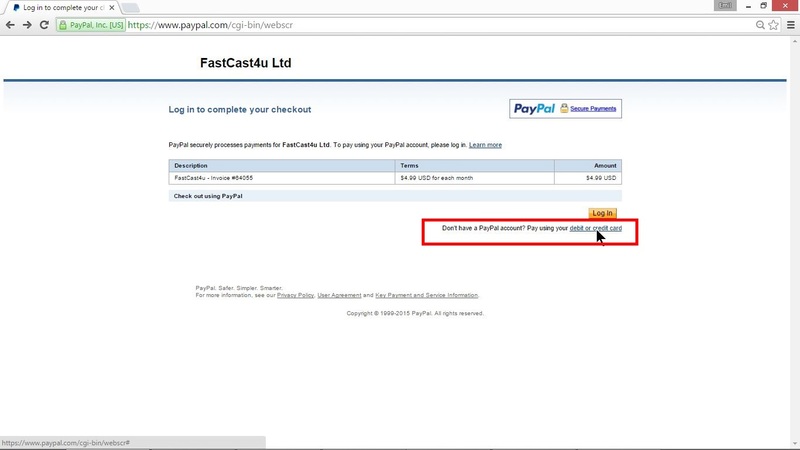 Please notice that if you cancel a service you have to cancel PayPal subscription too. When you upgrade or downgrade the service, or change the billing cycle, remember to cancel a subscription and create a new one for an appropriate amount.